Early 1980, UB40 scored their first success with “Food For Thought”, reaching high positions in the charts. By the time they released their first album they were already so successful that they had signed off on unemployment benefit, leading to the stamped Signing Off featured on form 40, for the sleeve of their debut album. 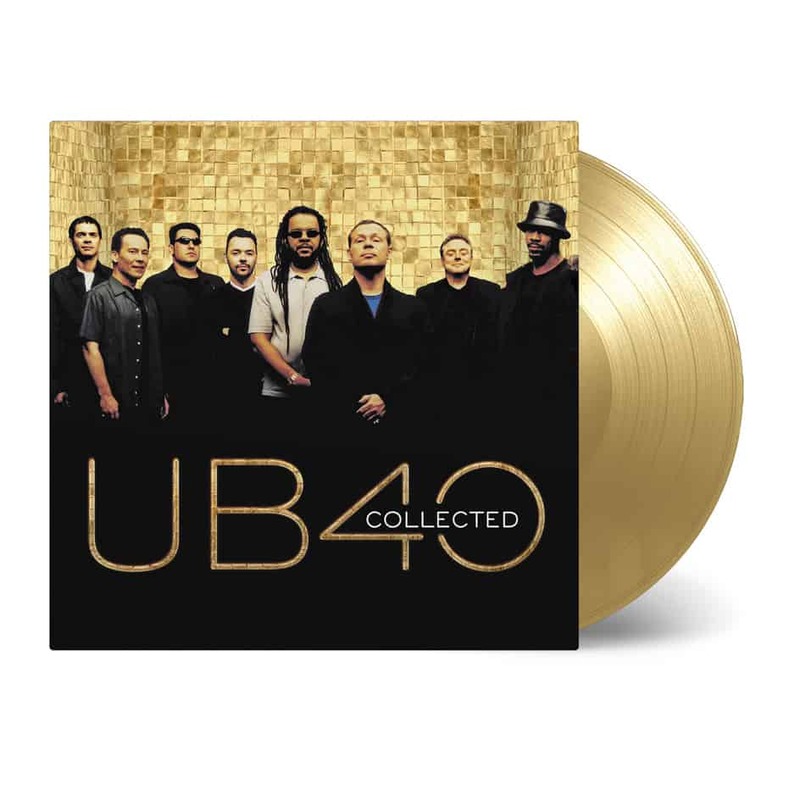 UB40 Collected has captured all the different phases of the band in one complete album, from classic hits combined with the new! The members of UB40 chose their name after a piece of paper most of them were all too familiar with: Unemployment Benef it form 40, in short: UB40. The name was put on posters and the band was promoted even before each member fully understood his instrument. The first dub album ever to reach the album charts in the U.K. included “One In Ten” and “Don’t Slow Down”. In 1983 the band put on a new project, boasting ten cover versions of Jamaican hits and, contrary to low expectations, it became a huge hit and the band’s first number one album. Tracks included are “Cherry Oh Baby” and “Please Don’t Make Me Cry”and “Red Red Wine”. The latter was a rather poppy song and became the band’s biggest selling single ever, entailing their definitive worldwide break through. There have been lots of collaborations through the years and most of these became huge hit songs. Together with Chrissie Hynde UB40 recorded two singles: “I Got You Babe” (1985) and “Breakfast In Bed” (1988). They teamed up with Afrika Bambaataa for “Reckless” (1988) and with Robert Palmer the band released “I’ll Be Your Baby Tonight” (1990), just to name a few.